The third and fourth resolutions, SCR 1888 and SCR 1889, were adopted in 2009 to strengthen elements of the previously adopted resolutions. 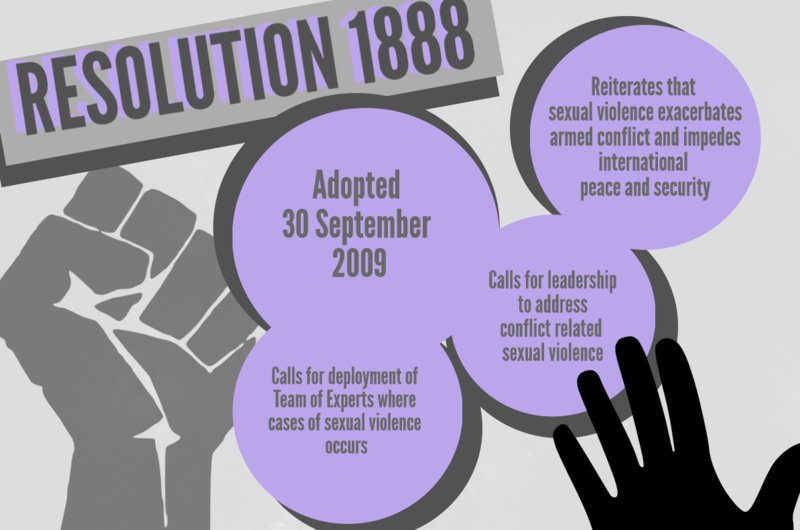 Specifically, SCR 1888 builds on SCR 1820 and calls for the appointment of the Special Representative on sexual violence in conflict, as well as establishes Women Protection Advisors (WPAs) within peacekeeping missions, in addition to a Team of Experts, meant to rapidly deploy to situations of sexual violence. To add languages to this list, please contact info@peacewomen.org.